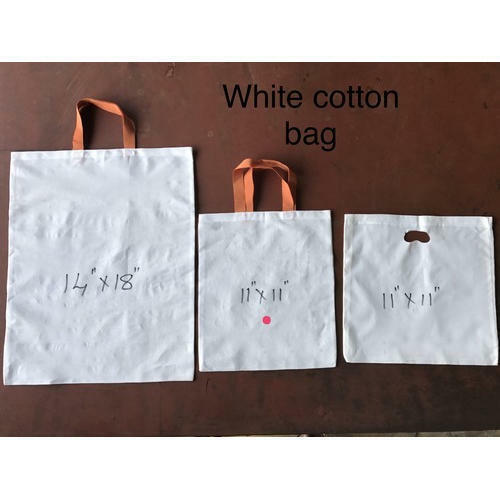 Organization is offering at market nominal prices a optimum range of White Cotton Bag. Known for manufacturing of an extensive assortment of high quality CEstablished in 2014, we, High Bags is a highly esteemed manufacturer of Cloth Bag, Handle Bag,Envelope Cover etc., High Bags, is established in the year 2014 at Bengaluru, Karnataka, India. Manufactured from premium grade material, these products are extremely durable and best for use. Obtainable with us at inexpensive market rate, these products are known for their long lasting, tear resistance and lightweight nature. We provide these products in various specifications to accommodate the wide provisions of the clients. The quality of each and every assortment is well-checked by quality executives with predefined quality constraints.